The Department of Energy’s (DOE) Office of Nuclear Energy’s (NE) approach to advanced reactor research and development (R&D) focuses on three reactor technologies—high-temperature gas-cooled reactors, sodium-cooled fast reactors, and fluoride-salt-cooled high-temperature reactors—but NE is also funding research into other advanced reactor technologies. NE’s approach is to conduct research in support of multiple advanced reactor technologies, while collaborating with industry and academia, with the ultimate goal for industry to take the results of NE’s research to the next step of development and commercialization. 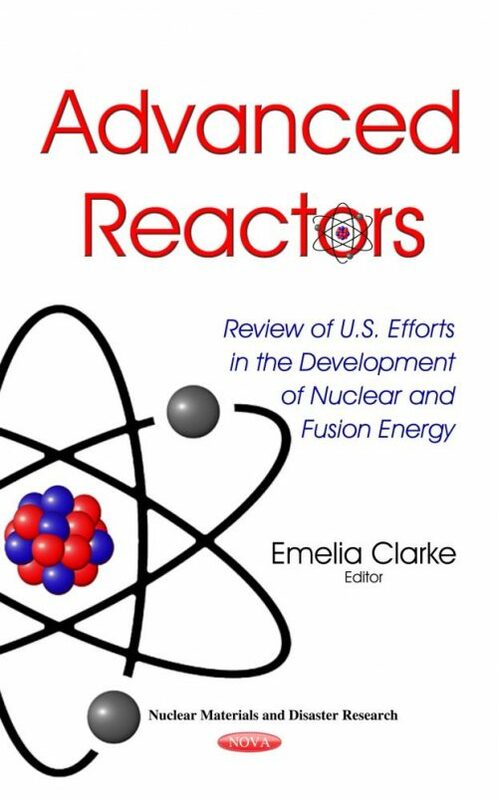 This book describes NE’s approach to advanced nuclear reactor R&D and examines how NE plans and prioritizes its advanced reactor R&D activities, including deploying an advanced reactor. This book also discusses the DOE’s International Thermonuclear Experimental Reactor (ITER) Agreement. It examines how and why the estimated costs and schedule of the U.S. ITER Project have changed since 2006; the reliability of DOE’s current cost and schedule estimates; and actions DOE has taken to reduce U.S. ITER Project costs and plan for their impact on the overall U.S. fusion program.